A fighter from the Free Syrian Army's Al Rahman legion carries his weapon as he moves inside a damaged building on the frontline against the forces of Syria's President Bashar al-Assad in Jobar, a suburb of Damascus, Syria July 27, 2015. The recent Russian air campaign in Syria has had mixed effects on the civil war there. RIR interviewed Noah Bonsey, Senior Syria Analyst at the International Crisis Group, an NGO that researches conflicts and aims to advance policies to resolve them, on his return from a recent field trip to Syria. RIR: Do you think Russia’s withdrawal will encourage all sides to comply with the ceasefire regime? Noah Bonsey: It is too early to guess the exact impact of the Russian announcement because we don’t know yet what will be withdrawn and when. We don’t yet know to what extent this announcement will lead to Russia stopping or diminishing its air attacks in Syria. If Russia does indeed stop its aerial attacks and withdraw some of its assets from Syria, then that would add credibility to the Russian role in the political process in Geneva. It would make it easier for the opposition to negotiate and would improve the atmosphere of the negotiations. If Russia carries its decision out, it is a potentially positive step for the political process. RIR: Will Russia have less control over events in Syria as it withdraws? N.B. : Russia will maintain a strong role within the political process. The decision to withdraw strengthens its role. It gives Russia more credibility in the eyes of the opposition and more leverage over the regime. We don’t know yet to what extent the Russian announcement is linked to disagreements, some of which have been voiced publicly, with the Assad regime. Russia’s withdrawal appears to be a signal to Damascus that it cannot take the Russian support for granted. The withdrawal will give Russia more leverage over Damascus. Russia is showing that if the regime is not prepared to make the concessions that Russia has asked of it, then Russia is in a position to remove its military support. Up until now the regime was very inflexible. But Russia’s announcement could give Moscow more leverage to pressure the regime for concessions. RIR: How did Russia’s military campaign affect terrorist groups in Syria? N.B. : Russia’s intervention strengthened the regime’s position in Syria. It enabled the regime and allied militias to gain ground in some key areas. However, most of those gains were not against ISIS or Jabhat al Nusra but against mainstream armed groups that received support from Turkey, Saudi Arabia, Qatar, and the U.S., and that participated in the political process. RIR: Has Russia’s military inflicted any damage on Islamic State (ISIS)? N.B. : ISIS has been weakened in Syria in recent months. But it is more the result of Kurdish YPG (People’s Protection Units) military operations supported by the U.S and is not a direct result of Russia’s intervention. Most of Russia’s intervention has been directed against other, primarily non-jihadist groups, but also against Jabhat al Nusra. In a couple of small cases regime gains against ISIS have been possible thanks to the Russian support. RIR: How would you evaluate Russia’s role in the Syrian conflict? N.B. : We do not know what the political impact of the Russian decision will be. But it is clear that Russia has played a leading role in enforcing the cessation of hostilities. It has led to a decline in violence on the ground in the last two weeks and it has helped to give some small momentum to the political process in Geneva. Whether the cessation of hostilities and the meetings in Geneva can actually lead toward a political resolution is a much more difficult question. To get there it will require Russia to compel the regime to make major compromises. We have not yet seen this up to this point. A key variable to watch in the coming weeks will be the regime’s political behaviour and how Russia responds to it. The big question in terms of the impact of the Russian announcement is whether Russia ceases its air attacks. If the Russian air force stops conducting strikes in Syria, that would have major repercussions on the ground, because the regime has been very dependent upon the Russian air force in its recent military gains. If Russia is ceasing its air attacks that will make it much more difficult for the regime to move forward, gaining more ground. It will make the Assad regime more dependent upon its ground forces and militia forces provided by Iran and Hezbollah. RIR: How successful was the U.S.-led coalition in conducting its operation in Syria? N.B. : The U.S.-led coalition in Syria is focused narrowly on combating ISIS in support of Kurdish YPG forces. To a lesser extent, the U.S. supports local Arab and rebel forces which have allied with the YPG and with the U.S.-led coalition. Most of the fighting has been done by the Kurdish YPG forces in eastern Syria. There have been some significant advances in recent weeks. Recently they took the town of Al-Shaddadah in northeast Syria. But the coalition on the ground is not well equipped to continue advancing in eastern Syria, a territory mostly inhabited by Arabs rather than Kurds. 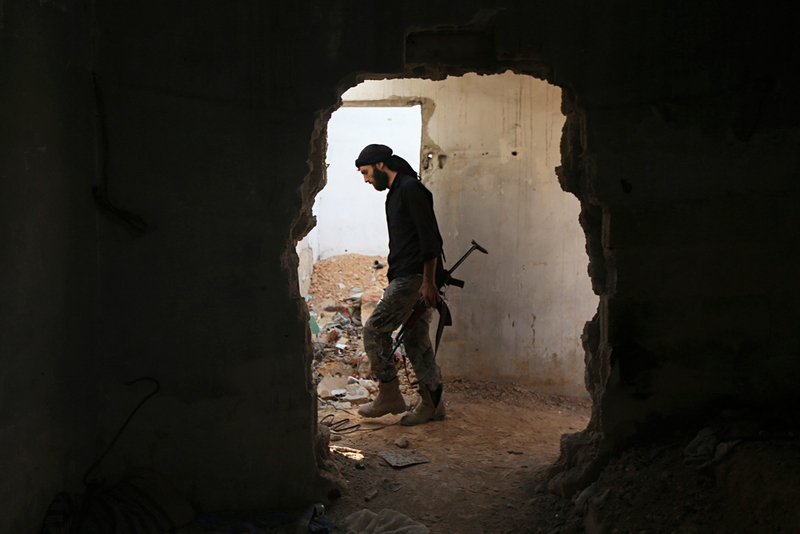 This puts the U.S.’s efforts at a crossroad in eastern Syria.